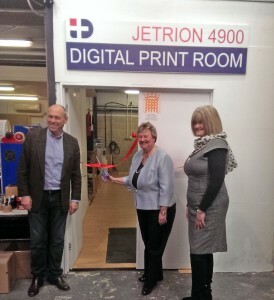 Positive ID Labels are proud to announce the opening ceremony for our new Jetrion 4900 digital label press with laser cutting finishing equipment. We were privileged to have our local MP, Heather Wheeler (Conservative) come and take a tour of the facilities, declaring the £330,000 digital label printing machine and print room fully operational. Positive ID Labels has grown from strength to strength over the last five years, benefiting from government initiatives and schemes including apprenticeships and growth fund initiatives. The company has more than doubled its workforce and sales in the last 5 years in a very competitive market and during difficult economic times. Digital label printing has been a major investment and growth area. Pictured left to right, John Mayers (Managing Director Positive ID Labels), Heather Wheeler MP South Derbyshire, Wendy Earp Chair of the Melbourne Parish Council. The Jetrion 4900 allows us to print digital labels and finish them using the integral laser cutting station in a fraction of the time of traditional flexographic label printing methods. The Jetrion 4900 digital label press boasts full colour and white ink printing technology and can print on a wide range of substrates. Manufactured by EFI, the inkjet print technology allows for durable labels to be manufactured and the laser station allows for any size or shape to be cut in a single process, rather than print, cut and re-wind being completed in multiple operations. It is a fantastic addition to our adhesive label printing capability. The Jetrion allows us to deliver high quality full colour digital labels to our customers in a fraction of the time of normal analogue/ flexo print methods. We remain dedicated to investment in the business and improving lead times and quality for our customers and this machine is a further step towards that goal. The continued growth in the lower volume digital label market means we will be able to double-shift the machine and increase capacity without incurring increased labour costs. Positive ID Labels work closely with EFI and their partners and offer demonstration sessions on behalf of EFI. For more information on EFI, you can contact Dean Allen on 07772 451923. 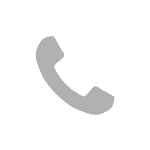 To have us produce labels for you, just give us a call on 01332 864895 or email sales@pid-labelling.co.uk for quotations or to discuss your order.